Have you ever heard of the concept of ‘meal preparation‘? Often shortened to just ‘meal prepping’, this is a lifestyle change that could make a dramatic and positive impact on your life. Meal prepping is commonly tied to the world of weightlifting, but it really doesn’t have to be. In fact, anyone interested in improving their nutrition while saving money on food should be interested. Today, we are going to talk a little bit about meal prepping as a lifestyle change while also highlighting a few key benefits of the act itself. So, you’ve made it all this way and likely still don’t know what meal prepping is. To keep it short and simple, meal prepping is the act of preparing all of your food for the week at a single time. Whether you prepare your meals on a Sunday or call one of the many meal prep companies Orlando has to offer, the results are the same. You’ll have your meals ready when you need them. Now, you might be wondering as to how this improves your life in any tangible way. Aren’t you going to eat the same food regardless? As it turns out, that might not be the case. Here are three quick-hitting benefits of preparing your meals ahead of time. 1) Fight Back Against Cravings – One of the primary ways that people fail with their diets is when they fall victim to a craving. When you are craving a specific food or snack, you’ll likely give up on your diet ‘just this once’. In reality, if you’re willing to give up on your diet once, you’ll do it again. Meal prepping gives you an actionable solution to these craving issues. When you are hurting for food, open your fridge and grab one of your pre-packed meals. 2) Save Big Money On Food – An additional benefit of meal preparation is that you’ll no longer eat out nearly as often. Buying take out food is often done due to the convenience of getting a hot meal with zero effort. With meal preparation, you’ll be able to get a hot meal whenever you need it simply by going to your refrigerator or freezer. Your dining out bills will dramatically be reduced. 3) Proper Nutrition – Finally, meal prepping focuses on putting together well-rounded meals that are packed with nutrition. 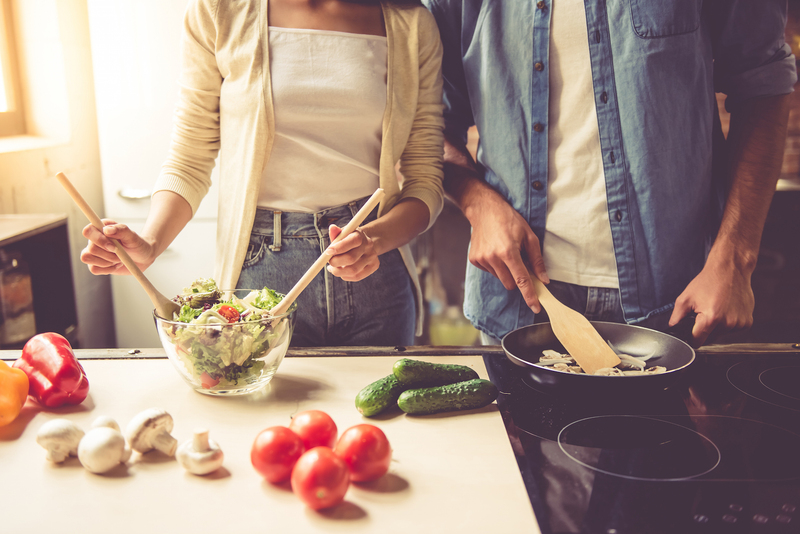 When you put together your meals for the week, you can focus on vegetables and healthy proteins while limiting your exposure to heavy carbs or artificial sweeteners and sugar. In approaching your meal prep in a healthy way, you’ll lose weight while improving your nutrition. Who can so no to that? Embracing meal prepping as a concept can be a huge benefit to your life. Not only will you get better food, but you’ll also save money and live a healthier life while learning how to be disciplined. If nothing else, consider seeking out meal prepping companies who can assist you with your goals.